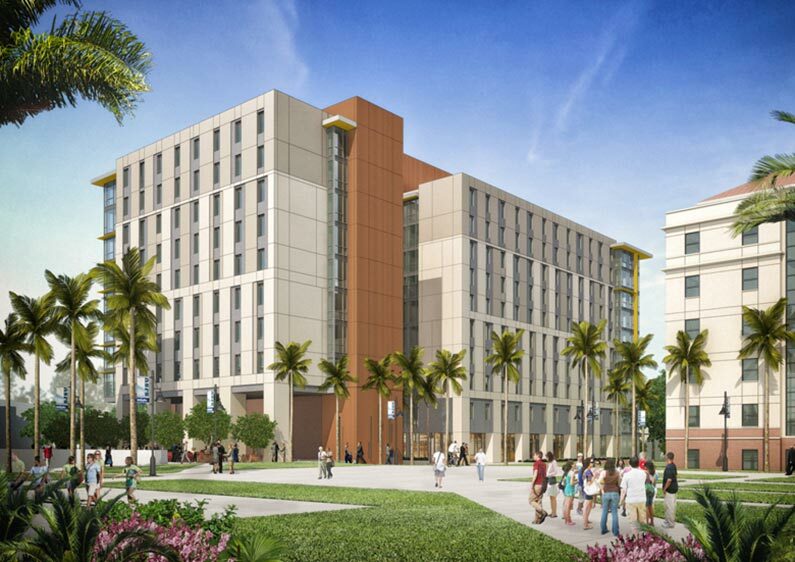 SWLA is currently working on new student housing complex at San Jose State University. Located on the 9th Street pedestrian mall, the project will provide housing for 850 students as well as study rooms, a recreation room and related support facilities. The palm court provides access for residents and to a large, ground floor multi-purpose room. The court also ties the project together with the adjacent housing complex located across 9th Street. 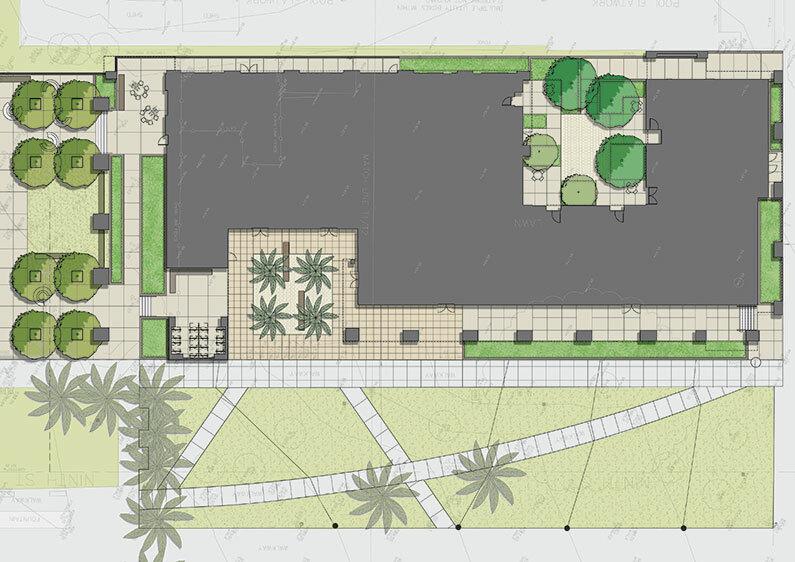 A south facing terrace with raised planters and artificial turf will provide a casual place for students to relax outside. The west courtyard provides a sheltered outdoor entry space for the four staff residences that are part of the project.